Product #9 | SKU 1020-025-100 | 0.0 (no ratings yet) Thanks for your rating! 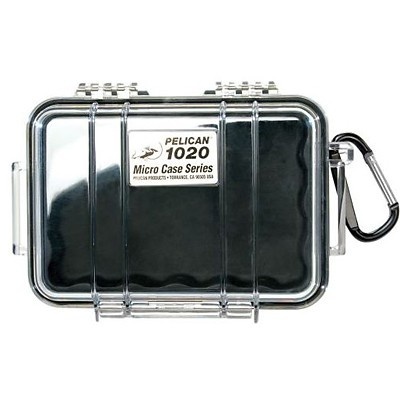 The Pelican 1020 Micro Case (Solid Black with Black Lining) is a water-resistant, crushproof, and dust-proof case made to carry small valuable items. It is made of copolymer, which makes it extremely strong and durable. It has a rubber liner for extra protection, which doubles as an o-ring seal. The case has an Automatic Pressure Equalization Valve that balances interior pressure and keeps water out. Includes lanyard to carry the case.